Why Brief Bios? For each of our trips, we have had a Brief Bio Page and it has been especially helpful in getting to know each other and our interests both before and during the trip. Plus, it is a wonderful way to remember peoples’ names. Who We Are: There are 35 of us going on the trip which enables us to have the larger 53 seat newest coach with wi-fi, recliner seats, a wash closet, and many other amenities. We range in age from 45 to 78 with the median age being 62. We come from both coasts and many states in between with about half of us married and half are single. Brief Bios are Private: Although this web page is on the 52Best website, it is private and only we who are traveling together know it is here. Sharing: Any of us are welcome to share this page but only with our friends and family. Updating: If your photo and/or Brief Bio needs updating, please get it to me asap. My email address is sandy@52Best.com and my phone 972-702-0000. Katy Harvey and Walt Gibson: Albuquerque, New Mexico – Walt Gibson and Katy Harvey are retired school administrators who live in Albuquerque, NM. Both are transplanted New Englanders who are now settled in Albuquerque, New Mexico. Walt loves gardening, is a zealot Red Sox and Patriots fan, enjoys gourmet cooking, fine wine, murder mysteries, politics, and pina coladas (seriously). 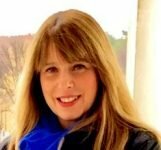 Katy is an avid reader, enjoys taking cooking and golf classes, dotes on our grandchildren, and also likes the Red Sox and Patriots, particularly Tom Brady. 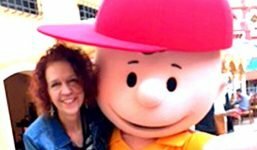 We traveled with Sandy to Italy two years ago and had a sensational time. We’re looking forward to traveling to Spain and Portugal with our dear friends Ruth and Chet Mills and all of you! Brenda Bischoff: Pensacola, Florida – with Richard Burdess – After working in the financial/banking industry for 21 years in Florida and Texas, retired and became a Motivational Speaker, Certified Life Coach, Certified Hypnotist, NGH Certified Hypnosis Instructor and a Realtor. 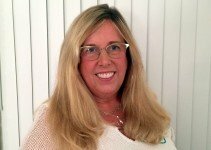 Living and sharing her passion for personal empowerment, her practice is located in Pensacola, Fl. She is single, and has 3 grown daughters, Brandy, Corey and Kelly and 2 of the most adorable grandsons on the planet, Jack and Quinn! Brenda loves to travel and does so at every opportunity. Brenda has been to the Caribbean, Dominican Republic, Puerto Rico, Mexico, Canada, France, Italy, Greece, Turkey, and Egypt. This will be her third trip with this group having traveled down the Danube in 2012 and Norway, Sweden, and Denmark in 2016 and hopes to continue to explore new and exciting places throughout this planet! Richard Burdess: Pensacola, Florida – with Brenda Bischoff – I’m a retired military officer, non-profit director, and teacher. It was my pleasure to serve my country for twenty eight years in the Unittwenty-eightvy, and my community as the director of an agency that served the blind and visually impaired, as well as, a teacher for the Escambia County, Florida School district for an additional fifteen tears. Fully retired in 2014, I became a licensed realtor after meeting Brenda Bischoff in August of 2016. We have formed a partnership in life and business and plan to travel throughout the world while still active and healthy. Exploring other countries is always exciting and adventurous, exploring our own National Parks is my dream. 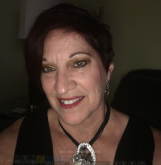 Cathy Claterbaugh: Garland, Texas – rooming with Tonya Bazan – Born and raised in Texas, I am a true Texan, I love golf, theatre music, fine dining and wine tastings. I have 2 companies, one is a Marketing firm, c12 Concepts where I help companies develop a marketing strategy and executing the strategy. This includes social media, digital content, PR, website development, and various other marketing functions. My second company is an interior design firm – Complete Design Concepts – which I have had for almost 40 years. I have unique and creative design concepts for both residential and commercial clients and when I say unique and different, I mean unique and different, I dream it and then have to execute it! I have traveled the world and been to 72 countries with my most recent trip to Chile and have not been to Madrid in about 20 years. I look forward to meeting all of you and getting to know you all through these travel adventures. 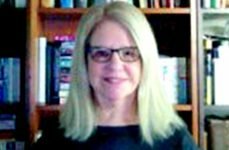 Carolyn Cole: Dallas, Texas – rooming with April Larsen – I am a 69-year-old avid traveler and am so looking forward to Spain and Portugal! I like many things: entertaining, movies, eating out, gardening, making jewelry, doing altruistic work, and most of all being with family, friends and 5 grandchildren, all who are in Dallas. I am very spiritual, which means I believe in a very positive Christianity. I am looking forward to a great time on this trip and getting to know everyone better! Last year I went on the 52Best trip and loved my total Norway, Sweden, and Denmark emersion. Alexandra Couvillon: Garland, Texas – rooming with Eva Del Cid – Hi I’m Alexandra. Recently retired so looking to meet people and have some fun with new friends. Love outdoor concerts at the Arboretum, dancing, travel, live theater, and movies. 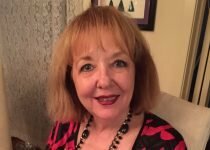 Eva Del Cid: Dallas, Texas – rooming with Alexandra Couvillon – My nickname is Eva (pronounced Ava) I’m a retired teacher who moved to Dallas in 2005 from New Orleans to be closer to my son, daughter, and grandkids. I love planning on going to Spain and Portugal in August with you all. 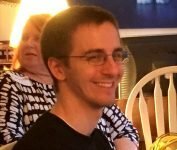 I’m looking for a roommate. Please let Sandy know if you are interested or if you have a friend or relative thinking about joining us. Also I will be giving two crash lessons for all of us at Sandy’s home two months before the trip so please plan on attending. 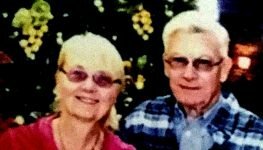 Thanks, best wishes and hasta pronto..
Sally and Tom Fetherston: Scottsdale, Arizona – Tom and Sally have 3 grown children and live in Arizona with 2 cats, 4 dogs, and other assorted critters. This will be Tom’s first bus adventure with the group. Tom, Sally and Sandy attended college together. Sally went to Italy and to Scotland/ Ireland with the group. We are looking forward to our trip and our children are looking forward to critter care while we explore Spain and Portugal..
Sam Guerrini: Flower Mound, Texas – rooming with Jan Oglesby – My name is Sam and I am looking forward to meeting new people and sharing life experiences as we get ready to embark on our trip to Spain and Portugal. I have been working as a consultant in the HR/Talent Acquisition field for the past twenty years. Prior to that time, I had worked at IBM for ten years. I grew up in Pennsylvania which is still one my favorite places because all of the beauty there combined with the four seasons. I have spent the past twenty-six years in the DFW area in Texas that included two years in Atlanta in the late 90’s. I enjoy sports, playing golf, music, outdoor festivals, cooking, wine, reading, current events and traveling for fun and to visit friends around the country. I have spent a lot of my free time volunteering for a number of worthy causes and community organizations. As I push closer to retirement, I am looking forward to seeing more new places and meeting new interesting people along the way to share our life experiences and stories with. 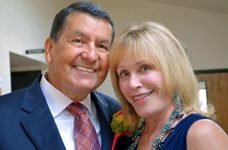 Marcia Hiebsch: Garland, Texas – with David Alcoze – Hello, my name is Marcia (pronounced Marsha). We will worry about the pronunciation of my last name later. I grew up in Wichita, Kansas. In 1984 I graduated from Kansas State University and in 1986 I moved to the Dallas area. Five years ago I retired from teaching and promised myself I would travel before starting a second career. This will be my second trip overseas having traveled with Sandy;s group last year to Norway, Sweden, and Denmark. I am very excited about the trip, and about making new friends. 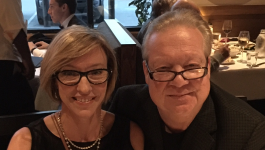 Linda Holister: Midland, Texas – rooming with Cecile Nance – Retired purchasing manager (Motorola). Live in Midland, TX on a private/public airport access. I am a pilot but do not have a flying airplane at this time. I have 5 acres with about 40+ pecan trees and 10 fruit trees. Almost all my children, grandkids and great-grandkids live in Arizona. I love to travel and sew. Currently doing a lot of quilting for enjoyment along with maintaining the trees and acreage. I will have completed a cruise to the Baltic before I join this exciting tour. Looking forward a fun, adventures tour. THX Sandy for putting these great tours together. Allen Huffhines: Dallas, Texas – single room – Pictured to the left with Linda, his high school sweetheart, and wife of 60 years. They have two children and two grandchildren. Allen is a Dallas native, SMU grad and retired for 18 years after selling his steel fabricating business. His interests are managing the family investments, physical fitness, and advancing conservative Constitutional causes. Having been on previous trips to Italy and to Sweden, Norway, and Denmark; looking forward to this adventure. 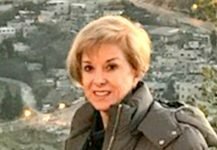 Joyce Jordan: Dallas, Texas – rooming with Terri Shepard – I retired from management with a nationwide trucking company in 2013. 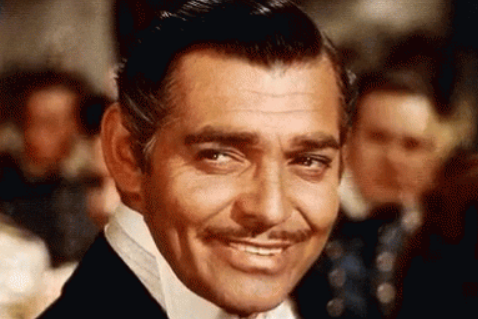 While I traveled on business extensively, I have enjoyed pleasure traveling. Since retiring, I have taken advantage of the increased flexibility of spending time with my six grandchildren, traveling, volunteering, supporting my church and visiting friends throughout the country. I am a recent widow and adjusting to my new life. This will be my third trip with Sandy, previously going to China and Egypt. April Larsen: Allen, Texas – rooming with Carolyn Cole – Travel is a passion, and I have been blessed to travel to those places on the top of my bucket list (Denmark to walk on the cobblestone and visit the castle stables where my great great grandfather held a position; London and Paris with my daughter). My most enjoyed European city is Trier (Germany) with a rich history and beautiful architecture. I am excited to travel to Spain and Portugal to experience history and beauty through my photography. I have 4 children with 7 grandchildren and will be taking many photos to share with them. 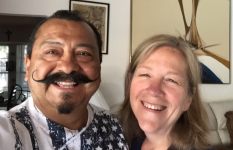 Vickie and Flash Leon: Arlington, Texas – My husband and I will celebrate our 36th anniversary while on this trip. I am a VP/Sr. Bank examiner with the same bank for 23 years and my husband has been a GM in the restaurant industry for over 30 years. I am originally from Oklahoma but grew up in KC, Mo. I met my husband in Mexico City, Mexico where he was born and raised. We have two grown children and three grandchildren. This will be his first trip to Spain and my third. We are looking forward to this trip. 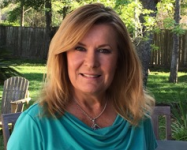 Karen Lindsay: Sugar Land, Texas – rooming with Carrie Smith – Hi all – For many years I was employed in the Information Technology field however following the death of my husband 4 1/2 years ago I decided to take early retirement to concentrate on my golf game and volunteer activities. My daughter graduated this past May from Baylor and is now living and working in Dallas so I expect to spend more time in Dallas in the future. I have traveled quite a bit the past four years but who can resist Spain and Portugal? I have read the bios and must say I am super excited and very honored to be a part of such a fine group of people. I look forward to this trip and to meeting you all! Jay Magallanez: Plano, Texas – single room – Born a Texan and raised in California. I went to College in Texas, met my ex-wife and raised two great men (28 & 25), and have a beautiful daughter-in-law. After 28 years of marriage, I’m single three years now and checking off things from my bucket list. Looking forward to meeting new friends and create lasting memories. See you all real soon. 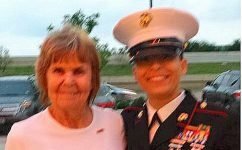 Denise McCoy: Lewisville, Texas – rooming with Kathy Perkings – Even though I was born and raised in Michigan, I’ve lived a wonderful life in Texas for over 25 years, many of those years enjoying the milder winters. But now it’s time I pursue locations for this next phase of my life enjoying milder summers. My two adult daughters are getting on their feet and my parents are still in good health so I’m excited for the world of retirement even though I’m a few years away. But already I see the potential for more travel and the opportunity to become a “world citizen.” Currently, I get my relaxation from yoga, reading, walking, writing, and puzzles. But my passion is the study of and immersion in cultures and their languages. I’ve studied Spanish the last five years but will have to really step up my game for this trip. For the last 2 years I’ve taught English as a Second Language and would love to continue teaching throughout retirement. I’ve visited Latin and South America and this will be my first trip to Europe and my first “group” trip in probably 35 years. I’m looking forward to the transformation of a group of strangers into new friends! Sheryll McMullen: Carrollton, Texas – single room – Hi, my name is Sheryll McMullen I’m on the left, this is my first trip to Europe. I went to two years of college, then decided I was “too cool for school”, and ended up in San Francisco, career was as an Admin Assistant (Secretary) to many different bosses. What an adventure! I’m retired, this picture is from Toys for Tots; I’m retired, and can’t tell you how excited I am for this trip! Chet and Ruth Mills: Albuquerque, New Mexico – We are both retired and are traveling on this trip with our friends Katy Harvey and Walt Gibson. We met five (5) years ago and within 2 weeks knew we would be together for eternity. We are “newlyweds” and as our priest, Father Brian calls us “Young Lovers”. 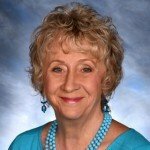 Ruth originally retired as a Principal and school administrator after 32 years of service in the metropolitan area of Albuquerque and the State of New Mexico. She then started a second career as the Chief Administrative Officer of a company that provided Therapy and Diagnostic Services to schools throughout the state of New Mexico. Ruth “officially” retired in August of 2014 to spend time with Chet, traveling, more traveling, and seeing the grandchildren. Chet spent 23 years in private industry working for several large engineering and construction firms as a vice-president, manager, primarily in the field of cost engineering. He then started another career with the federal government and retired from the Department of Interior at the end of 2006. Chet held several senior management positions throughout the nation during his 18-year career with the federal government. 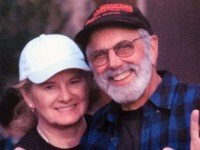 Ruth and Chet have many hobbies such as: golfing, gardening, reading, movies, dancing, and live theater. Ruth is very active with our church. Of course, we are Denver Bronco fans and we attend all the home games. Cecile Nance: Houston, Texas – rooming with Linda Holister – I recently retired from Saks Fifth Avenue as Director of Human Resources and have returned to Houston after living in Las Vegas for 12 years. I am currently working part time for a Wealth Management firm, Asset Management Advisors, as their Office Manager. I enjoy doing charity work for Ronald McDonald and several other organizations. Like to travel and have been to Europe many times. Like cooking and would love to take a class in Spain. Like museums and the sites in the area. 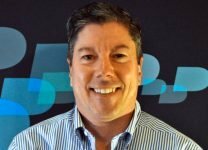 Have 3 sisters and enjoy the food and wine in the region..
Jan Oglesby: Arlington, Texas – rooming with Sam Guerrini – I’m a software developer originally from Louisiana. Lived in Arkansas for three years, recently moved to Arlington, TX in October 2016, and love it out here. I saw this group on Meetup.com and have been wanting to go to Spain for years now so I figured it is a great opportunity. This will be my first trip overseas so I’m very excited. Looking forward to meeting you all! 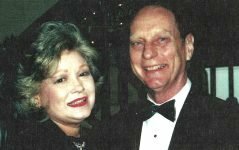 Carole and Jim Onufrak: Carrollton, Texas – Transplanted from Michigan in the 70’s. Both of us are retired, Jim from IBM after 38 years, Carole from massage therapy working for the state of Texas, and as a school crossing guard. We enjoy wilderness camping, bicycle riding (last big trip was 150 miles), snow skiing and spending time with our family. We have 2 children and 7 grandchildren. 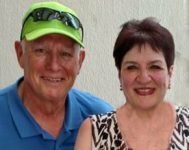 Chrystin and Lonnie Pleasants: Dallas, Texas – We have been married 39 years and this is going to be the longest trip we have taken. Lonnie is retired from the Time Warner Music Group and works as a special events driver for a local school district. Chrystin works in clinical research (bringing new drugs to market). Lonnie is an avid golfer and Chrystin loves photography. 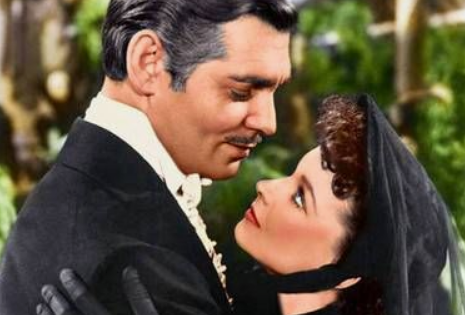 Spare time is filled with movies, concerts, plays, and public events that we attend sometimes together, sometimes separately. We attend Jimmie Dale Gilmore and Rodney Crowell together; Lonnie goes to Neil Young and Elvis Costello, and Chrystin goes to ‘Keb Mo,’George Ezra, Walk the Moon, and Lord Huron (I saw these last three in separate concerts over a four-day span!). Sandy Pofahl: Dallas, Texas – single room – The 52Best stories are my primary hobby which has grown from 250 friends 15 years ago to 20.000 friends today in 90 countries – some I have met and some I have not. This is the 20th 52Best trip which I have arranged beginning in 2000 with a trip to China in which 14 of us ran the Beijing Marathon. I have five older “kids” and four grandsons that live in New Mexico and New York. I am active with real estate investments as well as a venture capital investment that benefits the deaf and veterans. Both my Golden Retrievers passed away this last year – ouch – and I now have a new fur friend who is also a Golden by the name of Patton – or Patty for short when he gets into trouble. Janet and Lee Shaw: Crowley, Texas – We have four wonderful grown children, two boys and two girls, five incredible grandchildren and will be celebrating our 38th wedding anniversary August 18th of this year. thus the trip to Spain ! 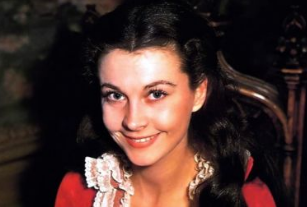 Janet is a super special telemetry RN and I have had my consulting firm for 28 years, The Grove, LLC, that works with various institutions ranging from Freddie Mac, Mortgage Bankers Association, and Kathy Ireland Worldwide. 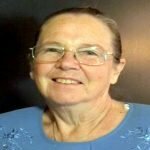 Terri Shepard: Carrollton, Texas – rooming with Joyce Jordan – I retired last year from State Farm after working as an adjuster for just under 23 yrs. I currently babysit for my 1 yr old granddaughter, who is the youngest of seven, 2 boys and 5 girls. I love to travel and it’s wonderful that I found a group that loves to travel as much as I do. I took my first trip with Sandy 3 yrs ago when we went to Ireland and Scotland and the second trip last year to Norway, Sweden, and Denmark. They were wonderful trips and I’m sure I will love this trip just as much!. Carrie Smith: Flower Mound, Texas – rooming with Karen Lindsay – I’m so excited about this trip. I travel frequently for work & as much as possible for pleasure. I’m looking forward to seeing the world & can’t wait to do it with a group of fun people. Looking forward to being an empty nester as my youngest is headed to college & my oldest just graduated & has moved to Portland OR. Will need to fill up my social calendar!